Who says your wedding is your only chance to wear one? I just bought the materials to make my own veil. Total cost $4.37. I hope I find a reason to wear it again! Cute wedding veil, it's my first time to see this kind of wedding veil. 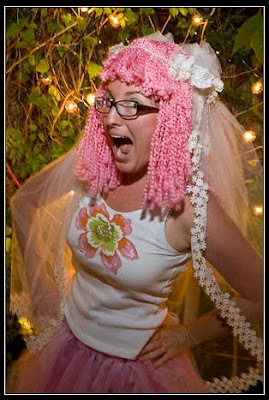 Check out my wedding veils!